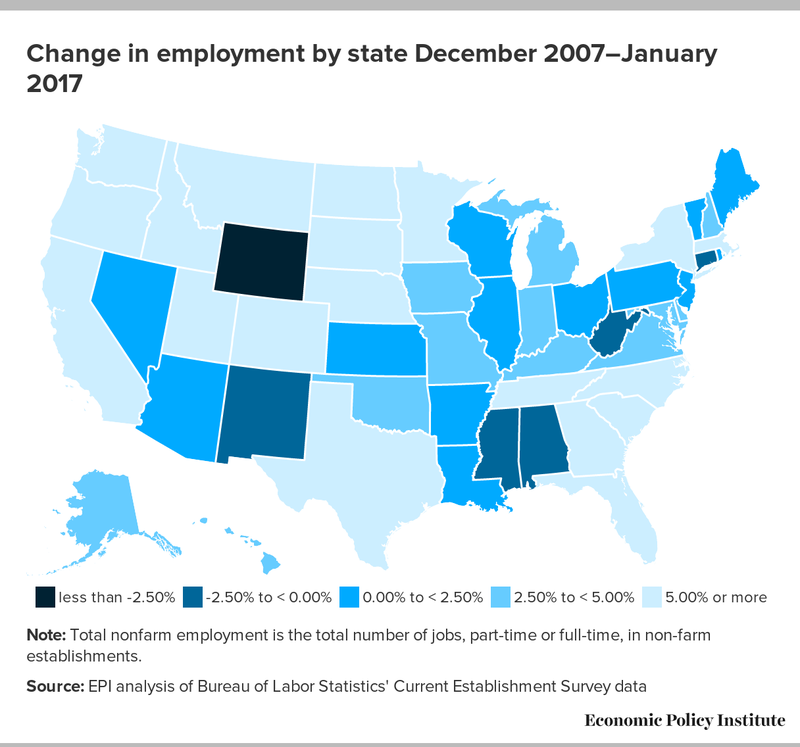 The January State and Regional Employment report, released today by the Bureau of Labor Statistics, showed that most states started the new year with continued modest job growth and decreases in unemployment rates. From October to January, 42 states and the District of Columbia added jobs, with Idaho (1.4 percent), Florida (1.1 percent), Maine (1.0 percent), Montana (1.0 percent), and Texas (0.9 percent) making the largest percentage job gains. Over that same period, employment fell in eight states. Of those states, Alaska (-1.0 percent) and Kansas (-0.4 percent) had the largest percentage losses. From October to January, the unemployment rate fell in 32 states and the District of Columbia. 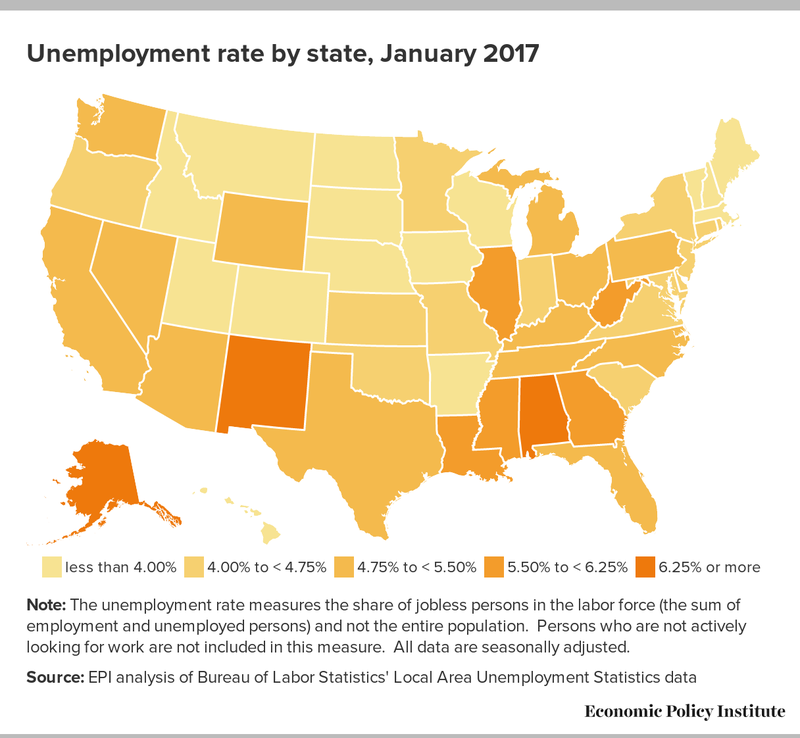 Maine (-0.4 percent), Missouri (-0.4 percent), Oregon (-0.4 percent), and Rhode Island (-0.4 percent) had the largest declines in unemployment. Over those same months, the unemployment rate increased in eight states. The largest increases in unemployment occurred in Tennessee (0.4 percent), Alabama (0.3 percent), Michigan (0.2 percent), and North Carolina (0.2 percent).